Hyobin Yoon and Saki Shibata will face off in the Under 21 Women's Singles final, following victories over their Romanian opponents in the last four of the 2016 Czech Open. 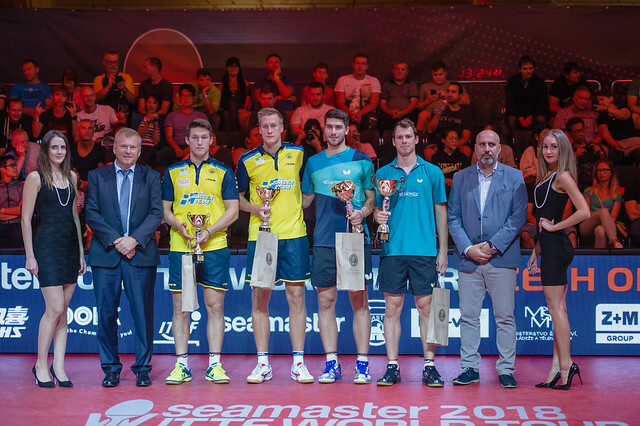 The Under 21 Men's final will be played out by two Japanese players as the 2016 Czech Open home straight starts to come into sight. Yoon had caused an upset by eliminating Yui Hamamoto (Japan) in the quarter-finals, and the competitor from Korea Republic required another five ends in her semi-final encounter against Irina Ciobanu. Ciobanu was one of two Romanians who had done remarkably well to reach the last four of the tournament, and she entered the semi-finals without having dropped a single game across the main draw. That record though soon came to an end as Yoon won the opening game in deuce, but Ciobanu meant business and she took the lead herself with wins in the second and third games. Both players knew that a place in the final was awaiting the winner, and it was Hyobin Yoon who was rewarded for her patience as the Korean fought her way to glory (13-11, 10-12, 4-11, 11-6, 11-9). Disappointment for Ciobanu, and a similar outcome for her fellow compatriot Adina Diaconu after she fell to Saki Shibata (Japan). Only three games were needed for Shibata to finish off Diaconu, as the Japanese player overpowered the Romanian (11-3, 11-9, 11-6) to complete the lineup of the final. Shibata will be looking to make it back-to-back Under 21 titles, having won the trophy at the Bulgaria Open just last week. Not to be for the Romanian duo, but they can be proud of their efforts nonetheless. The Under 21 Men’s Singles final will provide Japan with something to cheer about, as they are assured of filling out the top two positions. 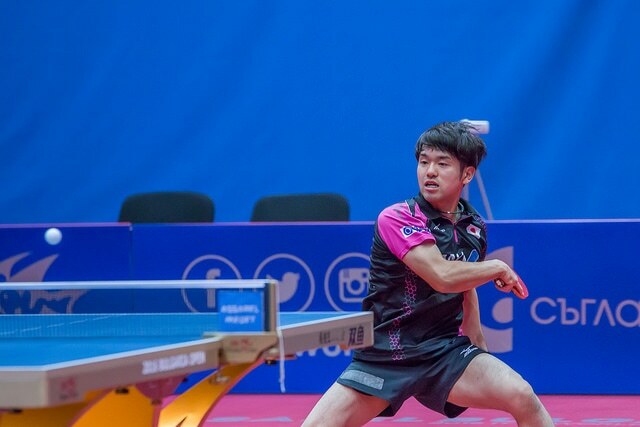 Mizuki Oikawa picked up his fourth 3-0 win of the event in his semi-finals encounter, but by no means was it a comfortable result as Park Chan-Hyeok (Korea Republic) put up a strong fight. Both Oikawa and Park were fairly evenly matched for the opening two ends, but game three was another story as Oikawa managed to pull out a lead before inevitably sealing his place in the final (13-11, 12-10, 11-5). Yuto Muramatsu will be Japan’s second finalist, despite a small blip in game one of his last four tie. Can Akkuzu of France made a great start against Muramatsu, but the rest of the semi-finals suddenly became an uphill trek for the French player. Three consecutive games saw Muramatsu progress (9-11, 11-3, 11-6, 11-5), and he will now meet Oikawa in an all-Japanese final.